Dramatic light breaks through the clouds above a spectacular sight, icebergs floating atop Lago Grey with Paine Grande Peak in the background. 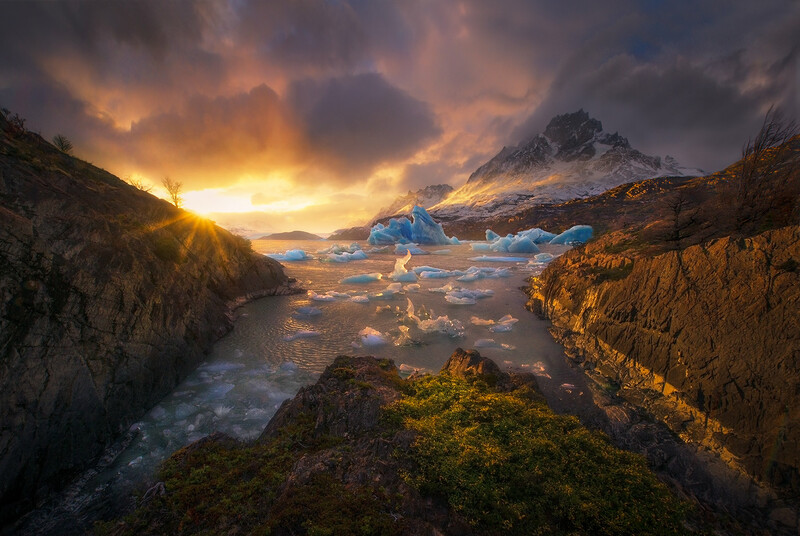 This unique viewpoint is accessible only at rare times with much effort. . Photo © copyright by Marc Adamus.